Ethiopia’s Prime Minister Abiy Ahmed named a cabinet half-filled with women to fulfill a campaign promise to work toward gender equality in the east African country. Among the 10 women in the 20-member cabinet is Aisha Mohammed, who became the country’s first female defense minister. Rwanda is the only other African country that has achieved a comparable level of female representation In government. Rwanda received global attention for its efforts to encourage female representation in government, with 61 percent of the country’s parliament made up of women. 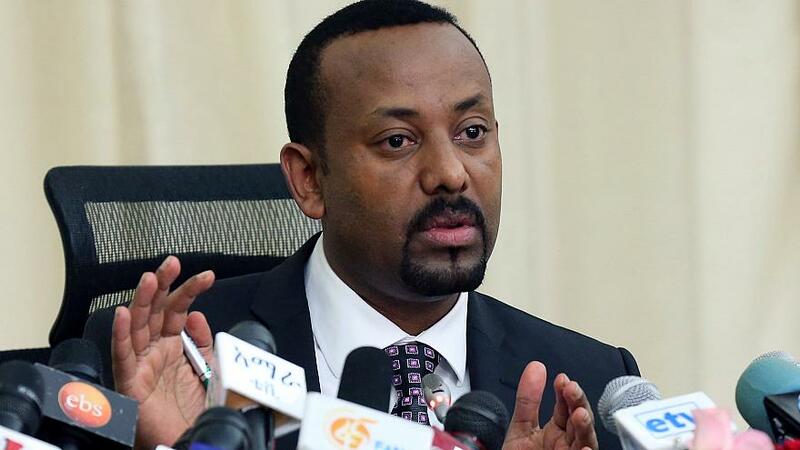 Ahmed, who came to power in April following the resignation of his predecessor, has embarked on major political and economic reforms, including making peace with neighbouring Eritea and taking steps opening up Ethiopia’s power, shipping and telecommunications sectors to investors. President Alassane Ouattara’s party won the most councils in Ivory Coast’s municipal elections held this week. 92 municipal councils, followed by the Democratic Party of Ivory Coast with 50 municipalities. Independent candidates won a total of 56 councils, while the party of former president, Laurent Gbagbo, won two. It was the first local elections in the world’s leading cocoa producer since 76-year-old Ouattara came to power seven years ago. Before then Ivory Coast was racked by almost a decade of conflict triggered by a military coup and compounded by Gbagbo’s refusal to quit after he lost an election to Ouattara. Nigeria plans to cut its 2019 budget to lower debt, its budget minister said on Thursday, a day after parliament approved a new $2.8 billion Eurobond issue but warned of a debt overhang. Next year’s budget was planned to be 5.15 percent lower than this year at 8.65 trillion naira, the minister, Udoma Udo Udoma, told reporters when he presented the 2019-2021 Medium Term Fiscal Framework & Fiscal Strategy Paper, a draft document on which the budget is based. The fiscal paper needs to be approved by the parliament before the budget is finalized. The Senate on Wednesday approved a $2.786 billion Eurobond issue, meant to part finance the 2018 budget but advised the government to boost revenues and limit borrowings. Udoma said the government earned 2.48 trillion naira in the first eight months of this year, compared with 2.6 trillion naira last year, helped by higher oil prices. Oil production, which Nigeria relies on for about two-thirds of government revenues, was at 1.9 million barrels per day in the second quarter, against an estimated 2.3 million barrels per day, budgeted for 2018, Udoma said. The draft budget ministry document showed that Nigeria could earn 306 billion naira via privatizations in 2018 and another 5 billion naira from the sale of non-oil assets. However, it said the West African country faced significant medium-term fiscal challenges, especially with respect to revenue generation and that key reforms would be implemented to improve collection and expenditure management. It did not mention any specific reforms. The 2019-2021 document expects inflation to fall to single-digit to 9.98 percent by 2019 from 11.28 percent in the second quarter and sees gross domestic product of 3 percent for 2019 from 1.5 percent achieved in the second quarter. The draft document said the government was making some provision for a possible minimum wage increase. Labour unions have been negotiating with government on a new minimum wage following a currency devaluation and fuel price hike two years ago. Acacia Mining PLC, shares plunged on Friday after the group expressed ‘deep concern’ over an escalation of its dispute with the Tanzanian government that this week saw money laundering charges brought against some staff. Acacia’s parent Barrick Gold is negotiating with the government, but the miner said if no resolution is reached it will look at how to pursue its claims directly through a bilateral treaty. Peter Geleta, Acacia’s interim chief executive, said he was: “Deeply concerned about the increasing risks to the safety and security of our people and the increasingly challenging operating environment in Tanzania which could impact the outlook for the business. Acacia’s dispute with the Tanzanian Government dates back 19 months. In April, Acacia was banned from exporting gold and copper concentrates due to government claims that it was owed huge amounts of undeclared royalties on production from the Bulyanhulu and Buzwagi mines. In a trading update Friday, Acacia reported that production rose to 136,640 ounces in the third quarter of 2018, better than both the first and second quarters of the year. Third quarter revenue was US$165.6mln with underlying earnings of US$44.6mln. The group added it is on target to produce 500,000 ounces of gold this year despite the uncertainty, slightly more than predicted earlier in the year. In late morning trading, Acacia Mining shares were 13.2% lower at 137.45 GBP. In a note to clients, analysts at RBC Capital said: “Trading on 0.54x NAV there is a clear value opportunity, but we continue to expect that investor focus will remain on the outcome of the Tanzanian government negotiations with Barrick as well as any implications from the Barrick Randgold merger – neither of which are materially updated in today’s release. Acacia PLC is a leading gold mining business operating in Tanzania, with exploration properties in Kenya, Burkina Faso and Mali, It is listed on the London Stock Exchange and the Dar es Salaam Stock Exchange.